This Benchbook provides a hands-on introduction to international law as it arises in courts of the United States. Its primary audience will be U.S. District Judges, typically the first to encounter questions of international law in our system. Others too may find the Benchbook of use: Magistrate Judges who may handle discovery and similar matters in the first instance; federal appellate judges who review the work of the district courts; state court judges whose docket includes disputes for which there is concurrent federal-state jurisdiction; administrative law judges; law clerks, legal assistants, and staff attorneys who serve the judiciary; and litigants who seek clearly and accurately to present to judges pertinent issues of international law. To aid judges in shaping litigation and resolving disputes, the Benchbook begins with a primer on international law's sources and status in U.S. courts. Jurisdictional, preliminary, and procedural concerns, like immunities and evidence-gathering, next are treated. The Benchbook then provides discussions of concrete instances in which such issues may arise; for example, arbitration, child abduction, human rights, and the international sale of goods. It concludes with issues of interpretation and research resources. 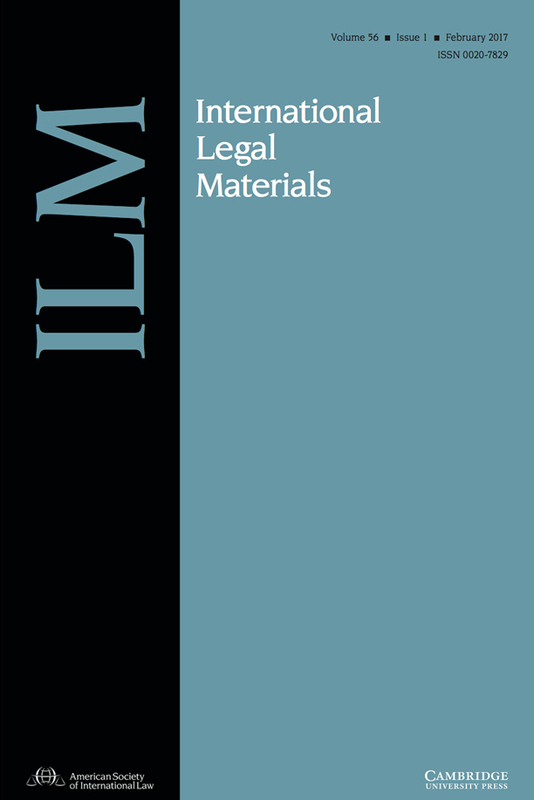 Later editions will enrich these discussions, described in the Detailed Table of Contents at http://www.asil.org/benchbook/detailtoc.pdf. In keeping with the hands-on approach, an outline format is used as much as possible. 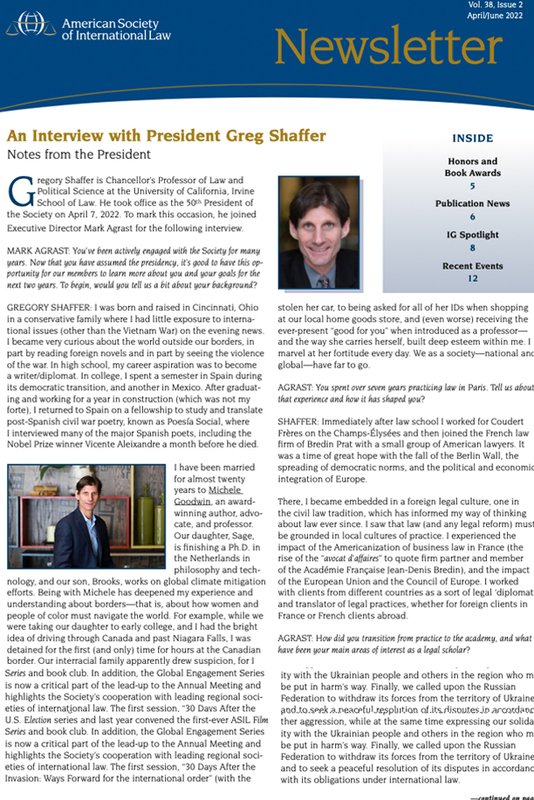 In all circumstances, this Benchbook on International Law, like the Federal Judicial Center manual that inspired it, Benchbook for U.S. District Court Judges (6th ed., 2013), endeavors to discuss issues as they arise in U.S. courts. 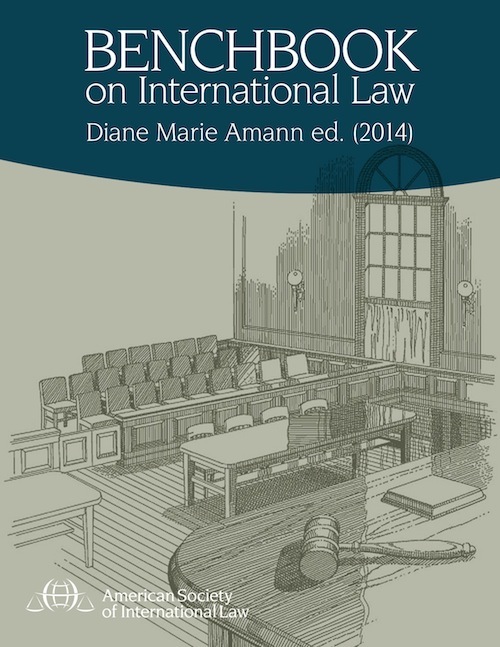 This Benchbook uses the term "international law" in a broad sense. 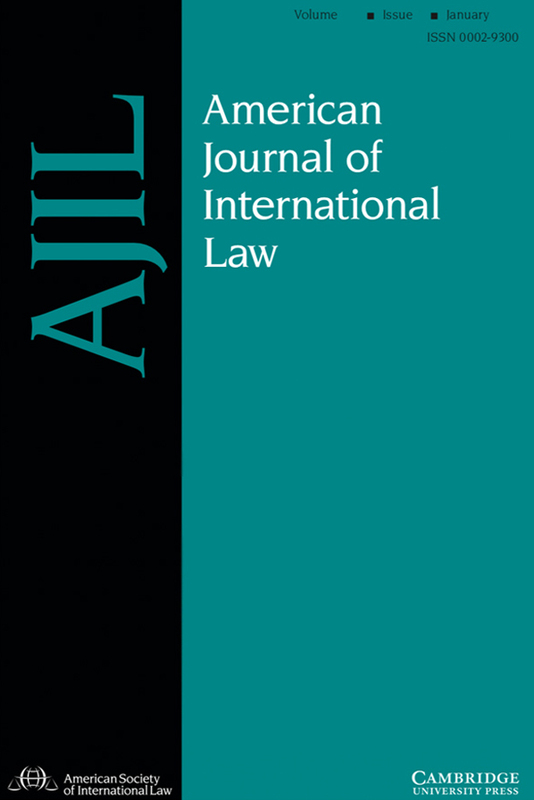 Classical international law, the body of legal obligations that independent nation-states assume in order to regulate their own interactions, is covered as it relates to federal trial courts. Also addressed are laws, norms, and judgments that have an international or cross-border component affecting a person, corporation, or other litigant. These may be labeled international, foreign or foreign relations, comparative, transnational – even global. In some cases, the law may supply a binding rule for the court; in other cases, a litigant may point to it as potentially persuasive authority. This usage reflects evolution in the discipline for which the Benchbook's publisher, the American Society of International Law, is the principal learned society. 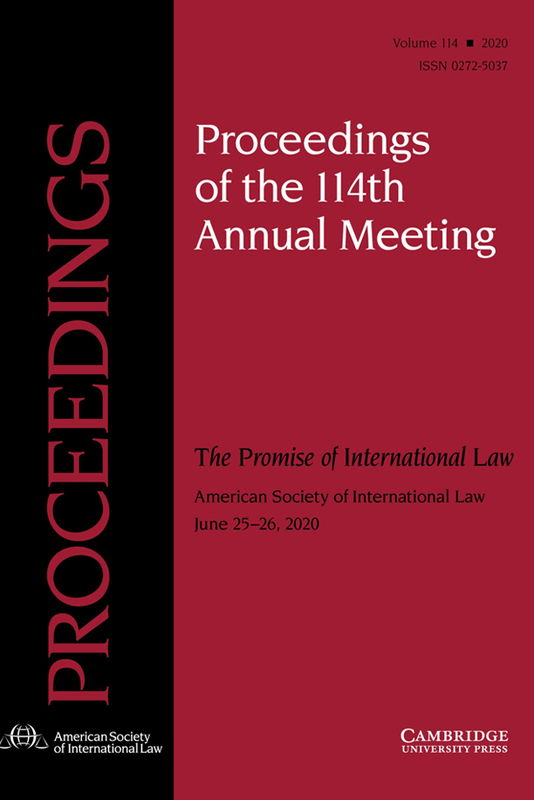 ASIL is a nonprofit, nonpartisan organization founded in 1906, chartered by Congress in 1950, and headquartered in Washington, D.C. Its 4,000 members – dozens of whom contributed to this Benchbook – include academics, corporate counsel, judges, representatives of governments and nongovernmental organizations, and international civil servants. Central to ASIL's mission of promoting the establishment and maintenance of international relations on the basis of law and justice is its judicial outreach program, a part of which is this Benchbook on International Law.